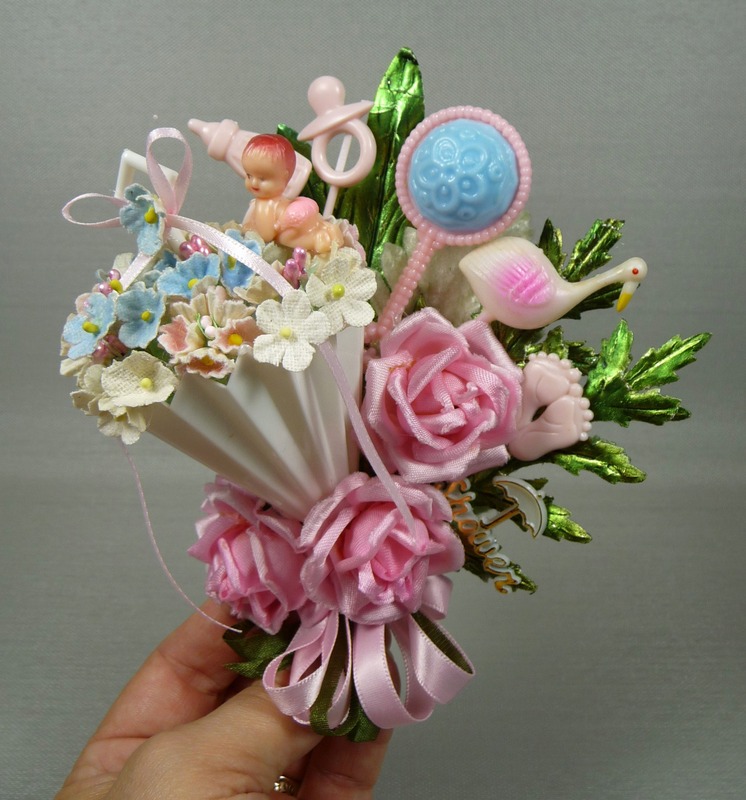 A vintage spun cotton “Daddy” seems to be very happy about his new daughter in this pink-themed baby shower corsage! 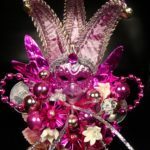 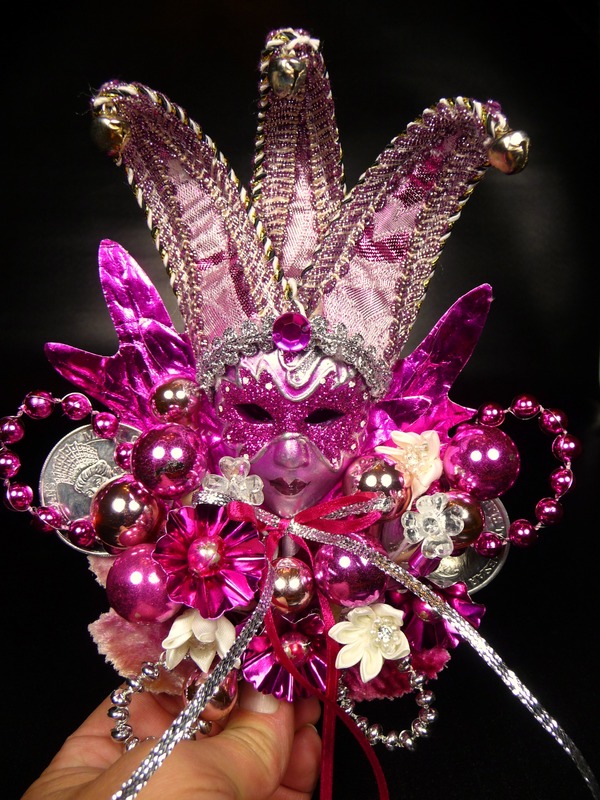 A gorgeous Mardi Gras corsage that uses a miniature venetian jester mask to pack a big pink punch! 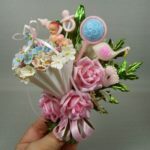 Wonderful baby shower corsage with a vintage umbrella party favor and gorgeous vintage pink roses. 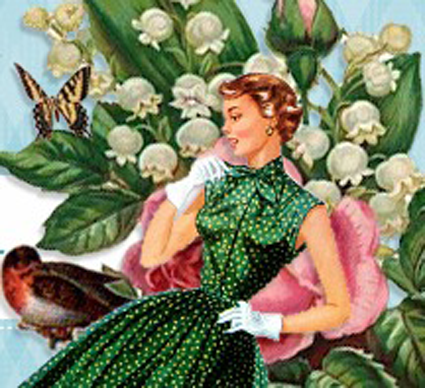 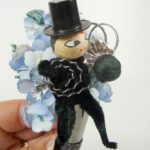 This can be worn, but would also make a sweet cake topper at a vintage themed shower. 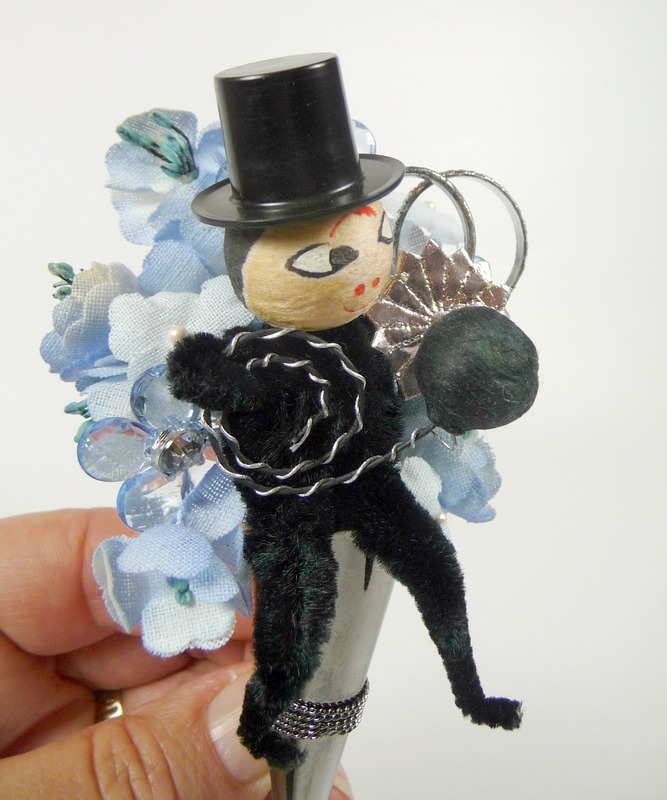 Somebody in post-WWII Japan had a sense of humor – because that’s when this little spun cotton and chenille groom was made. 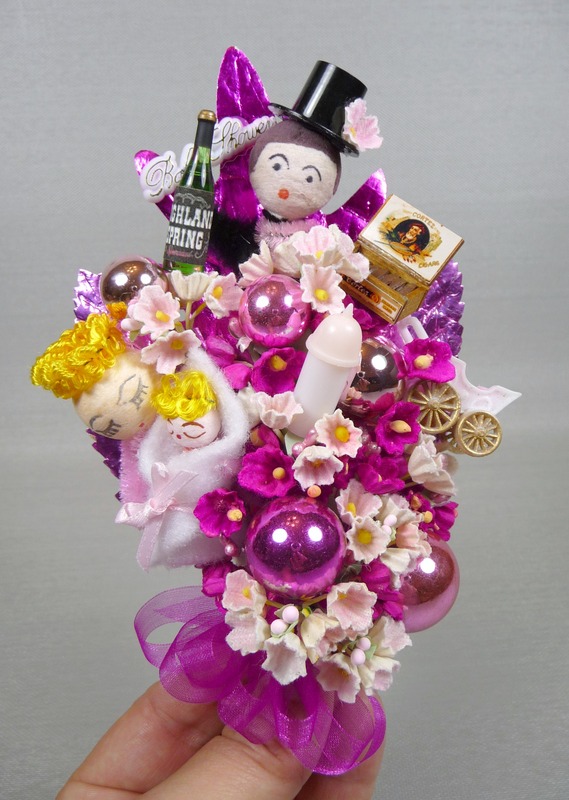 Notice the ball and chain he is holding! 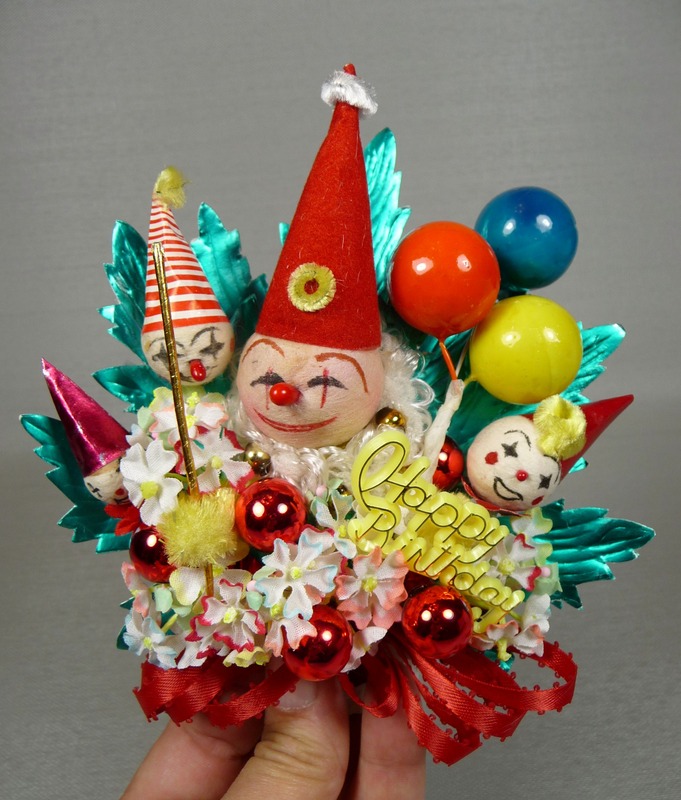 This birthday corsage is a three-ringed circus! 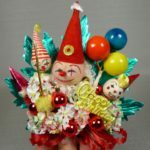 Quite a fun assortment of vintage spun cotton clowns. 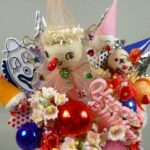 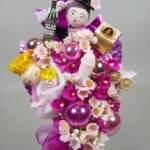 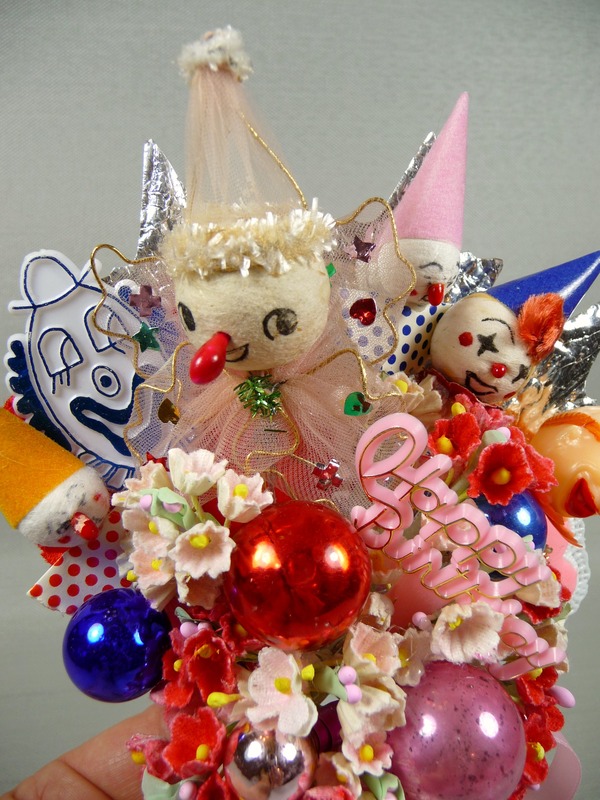 This birthday corsage has a sweet vintage spun cotton clown with an adorable pink tulle suit. 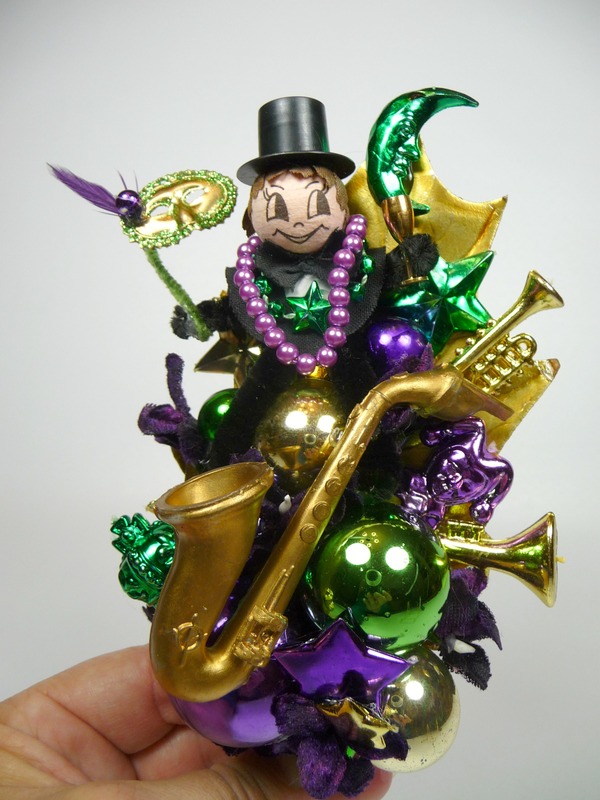 A little spun cotton jazz musician rides a saxaphone down Bourbon Street in this festive Mardi Gras corsage with beads, musical intruments, and a tiny mask. 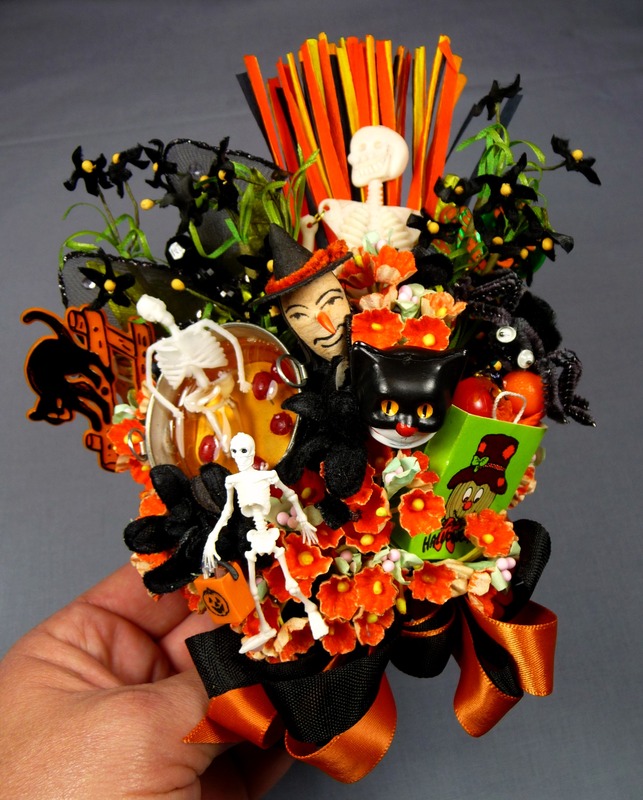 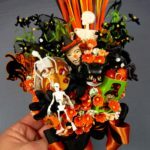 Lots of treats and no tricks in this festive Halloween corsage that is loaded with vintage goodies! 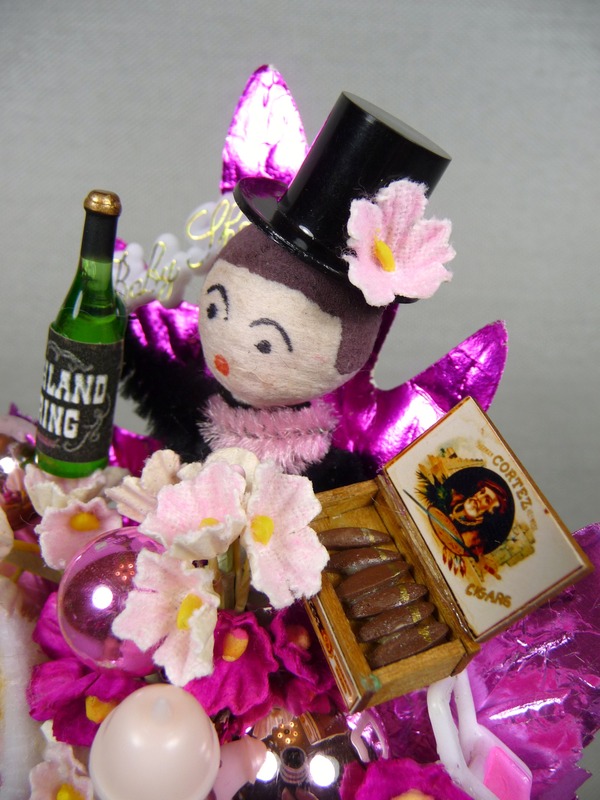 Notice the miniature skeleton that has fallen in a tub of cider while bobbing for apples! 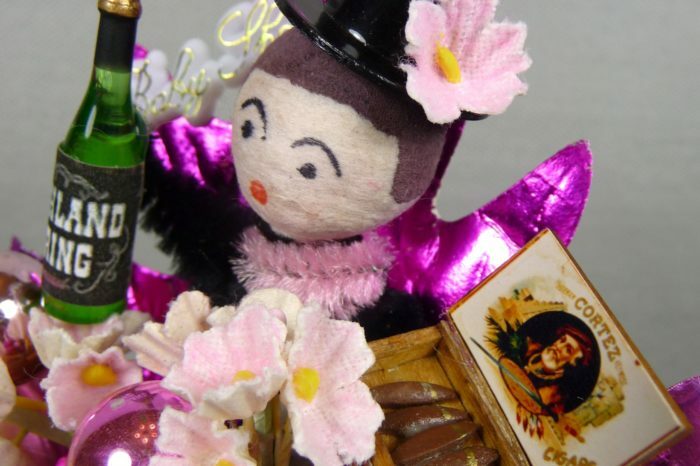 The vintage millinery black velvet starflowers from East Germany date to the 1950s and add a “graveyard” look to this piece! 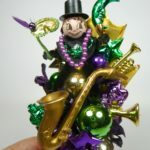 One Response to Let’s Party!